The fastest way to drive traffic to your website is through pay-per-click (PPC) advertising. 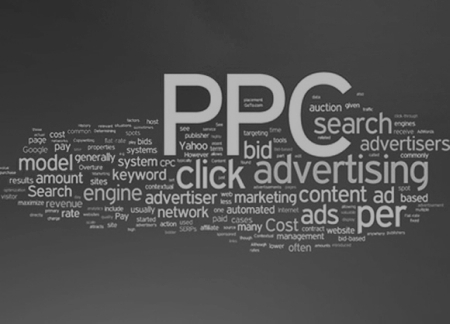 PPC advertising will give your business the ability to target specific keyword searches on popular search engines without having to wait for your site to achieve natural search engine rankings. One of the best features of PPC advertising is that you can set ANY monthly budget that you want and you only pay if your advertisements are clicked. Did you ever notice the "Sponsored Listings" on the top and right hand side of your search? These are all highly targeted advertisements based on your search phrase, location and even certain demographics that search engines collect from you. The advertiser doesn’t pay for the ad until you click on it. Setting up your Adwords (or other PPC) campaigns takes skill. First we research and carefully choose the right keywords to advertise on. A user’s search intent must match your marketing goals. We must know how to market your business and your services with precision. These keywords are then meticulously organized into campaigns and ad groups to maximize your clicks at the lowest possible price. For each ad group, we write headlines and ad copy that result in conversions. Your text ads can only contain 3 lines. Each line has a limited number of characters. There’s only a few seconds to engage and draw in potential visitors. We use A/B multivariate testing to show the best ads more often. We also write and test new ads regularly to increase your click thru rate (CTR). And we take advantage of ad extensions like phone numbers, addresses, and secondary site links to increase traffic to your site. We’ll mine your ongoing PPC data and metrics to find the best opportunities. This means expanding parts of your campaign when it helps generate more leads. Sometimes your campaign will shrink to eliminate non-relevant clicks or “bad” leads with negative keywords. Finding and adding new negative keywords on an ongoing basis helps get more “juice” from your budget. All this takes a big initial push. Without it, your Adwords campaign might burn through your budget with no results. Pay per click marketing can generate new business within minutes of setup. But if your campaign isn’t managed properly you can wind up spending a lot without getting good results. Structure your campaign and ad groups to maximize budget and your conversions. Write and test new copy for ads to increase clicks. Research new keywords, and analyze your competition for new opportunities. Manage bids & budget allocation to capture best market share. Test with Adwords settings like delivery, geo-targeting, and extensions. Make recommendations to increase Conversions & Adwords Quality Score. 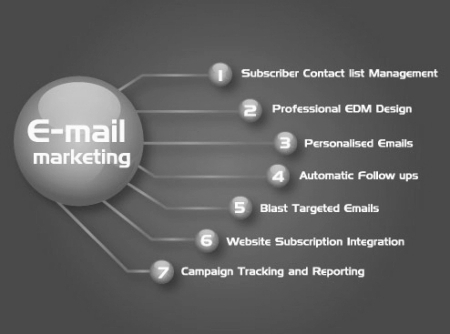 Targeted HTML & e-mail newsletter campaigns are some of the easiest and lowest-priced ways to increase customer retention and repeat sales by keeping in touch with your existing customer base. You can always stay on top of your customers’ minds whether you want to send a monthly recurring newsletter or an e-mail blast anytime you have a new product or service available. It's as easy as sending an e-mail. We can help take your email marketing efforts to the next level with our MailChimp email marketing, design, and integration services. Whether you need a single email template or complete campaign creation we have the marketing knowledge, design know how, and technical expertise to create the ideal backdrop for your company’s message or marketing copy. And that’s just the beginning. We will monitor the success of each campaign and through our reporting you can quickly see any bounce-backs or unsubscribes, as well as how many people opened your e-mails and what links they clicked. This information will help you improve your conversion rates for future mailings.